Following on from the wizards attempts to covert Kicker to The Beach Boys (FAIL!) and to introduce Chorizo to The Slits (SUCCESS!) 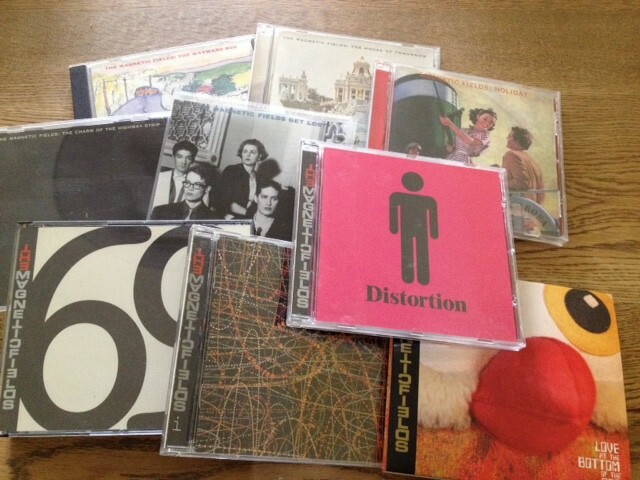 on previous podcasts, this month sees us trying to win over Rebel to The Magnetic Fields. In line with our arbitrary, and yet very strict, rules, Chorizo and I will both be selecting just 2 songs each from Stephin Merrit’s foremost band’s back catalogue for Rebel to mull over. I have spent this weekend mostly listening to acerbic New York wit and wisdom and have now made my 2 selections. Perhaps unsurprisingly, both have ended up coming from the 69 Love Songs album. However, to make the point that there’s more to the band than simply this one tremendous album, here are my favourite Magnetic Fields tracks taking in selections from all nine albums. No peeping, Rebel. Oh, go on then. Posted by kickerofelves1 on May 10, 2015 in Blog posts, Spotify playlists and tagged spotify playlist, stephin merrit, the magnetic fields.